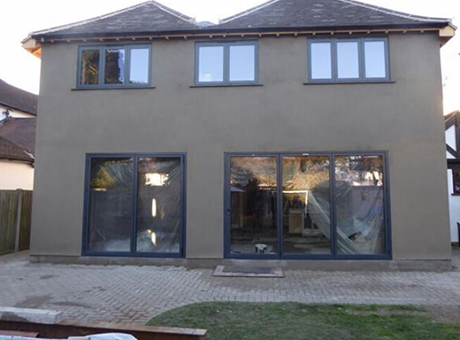 Wall rendering is a popular service for both residential homes and commercial properties. It is a process that offers a clean and tidy finish to external spaces and can be used as part of new constructions or a remodelling project. We can take off and re-render to any render finish or silicone over original render. Here at Trowel FX, our friendly experts are happy to help discuss the options and handle the work in an efficient and affordable manner. From consideration to completion, we will provide a professional and trustworthy service. First and foremost, rendering services offer a speedy solution to your property needs without breaking the bank. But convenience is only one of key selling points that make rendering a popular choice for homeowners and business owners alike. Rendering is a great way to inject a fresh sense of energy to the external aspects of a property. This type of finish can resurrect old looking walls to create an eye-catching and pleasing appearance. Better still, the wide range of materials and colours ensure that you have complete control over the final outcome. Whether it’s to enhance your home life or make the property more attractive to potential buyers, this is an ideal option. Furthermore, a rendering finish can actively promote a healthy property. The barrier created can help weatherproof the building while some renders can also be used as part of an external insulation system. So, for both the look and performance of the home or workspace, it’s no wonder this is one of the most commonly selected solutions. 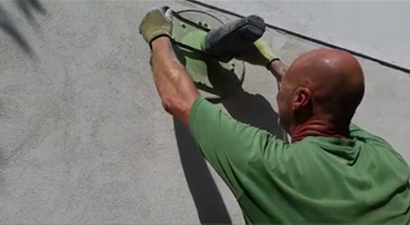 When your walls, external or internal, are in need of TLC, there’s no time to waste. Give our friendly experts a call today to discuss your project and acquire a free price estimate for those rendering needs. We have come a long way over 40 years from Pebbledashing, Tyrolean finish and sand cement and flat rendering. We have moved with the times onto waterproof colour scratch back renders such as Monocouch in a variety of colours. Also Silicone thin coat renders in many colours. We can fix and apply insulated boards and silicone finishes or you can even try some brick slips to create character. We can render new plinths around the base of your property and change airbricks. All work carried out is clean and professional.